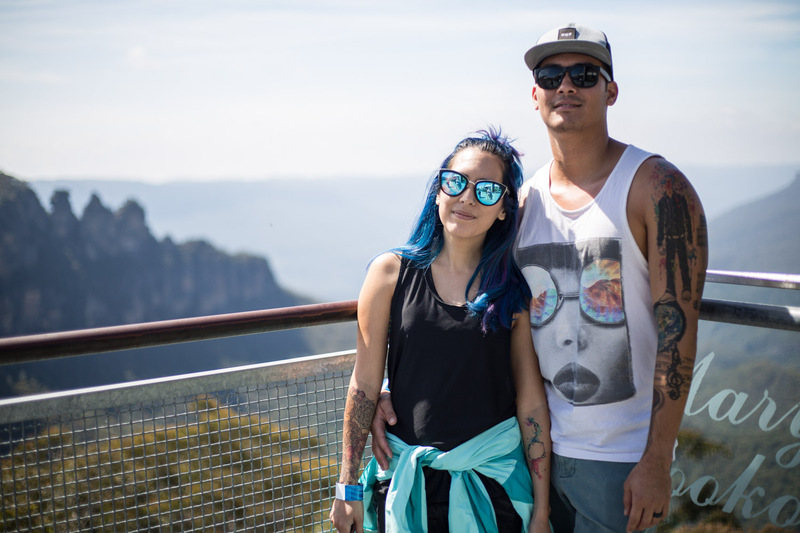 We spent one of our days in Sydney at Scenic World, a park located in Katoomba that boasts incredible views, one of them being the famous Three Sisters. We were staying in Newtown, which was about a 20 minute train ride to central Sydney. 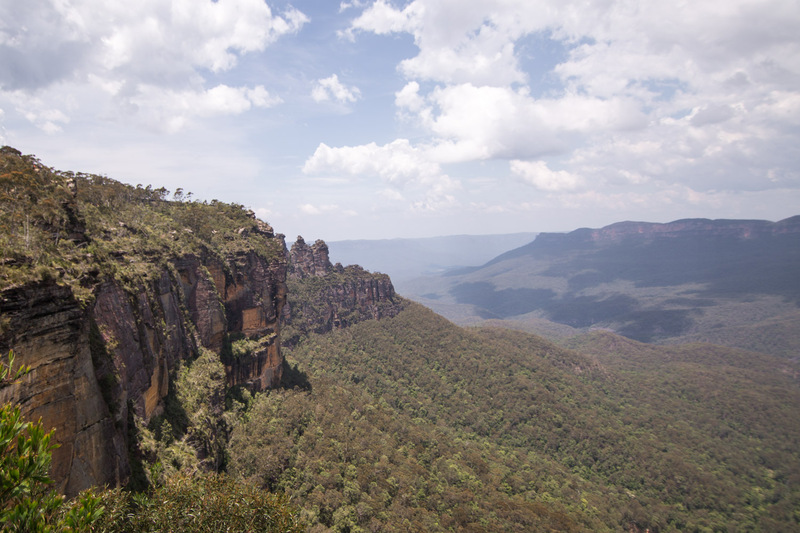 From there was a 2 hour train ride to Katoomba. There are many options once there such as tour buses, but we decided to catch the public bus to Scenic World, which was about another 20 minutes. The entire trip took about 3 hours one way from where we were staying. 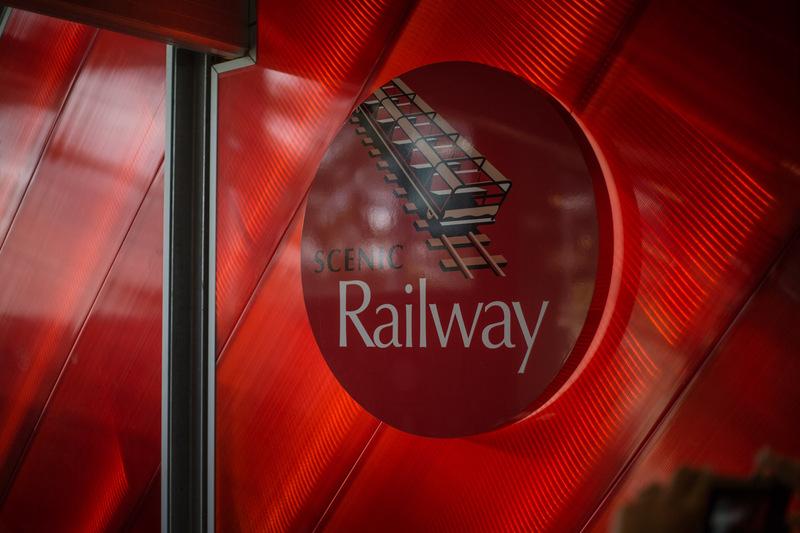 There are so many different things to do and see at Scenic World! Make sure to plan to spend at least a couple of hours there, you won’t be bored! 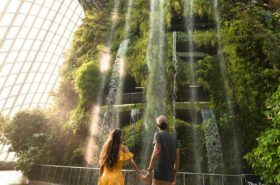 There are many options as to what to do first, but here is our itinerary of how we spent our day. 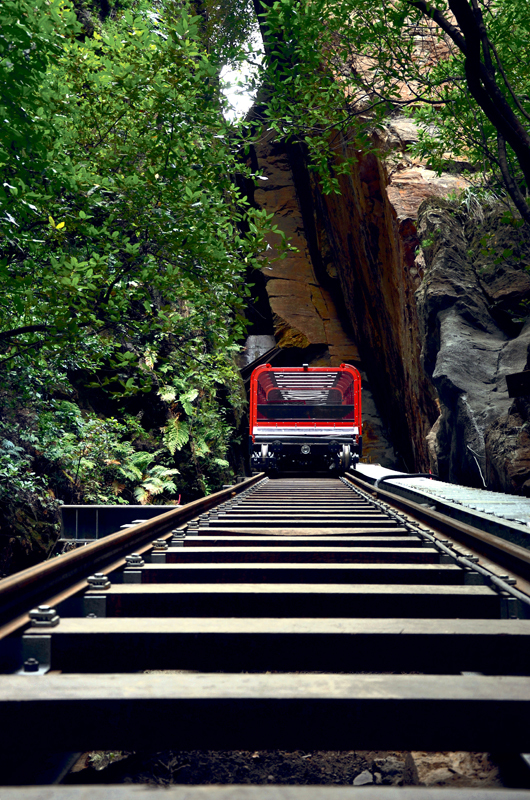 This is the steepest passenger railway in the world! 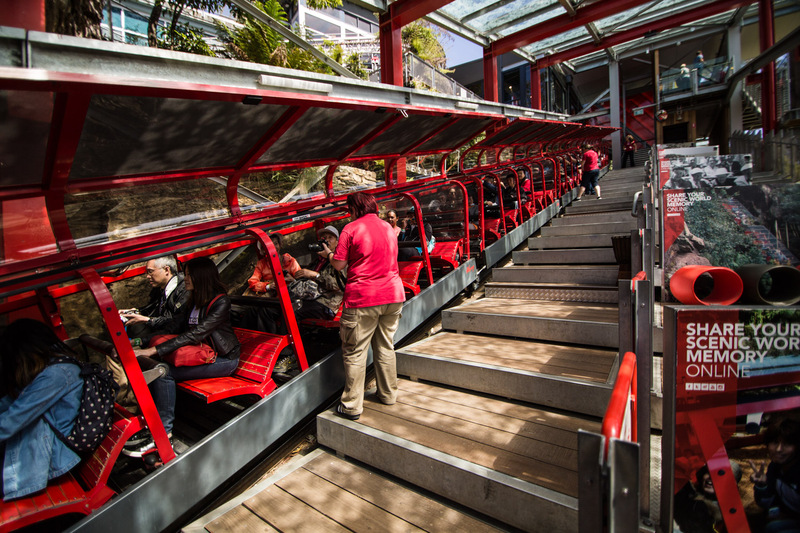 With a glass enclosed carriage, you can ‘choose your own adventure’ and pick your incline, up to 64 degrees! 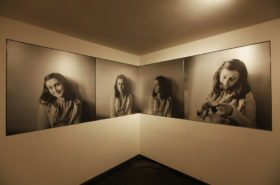 We thought it was super cool that you could choose how ‘thrilling’ you wanted your experience to be. 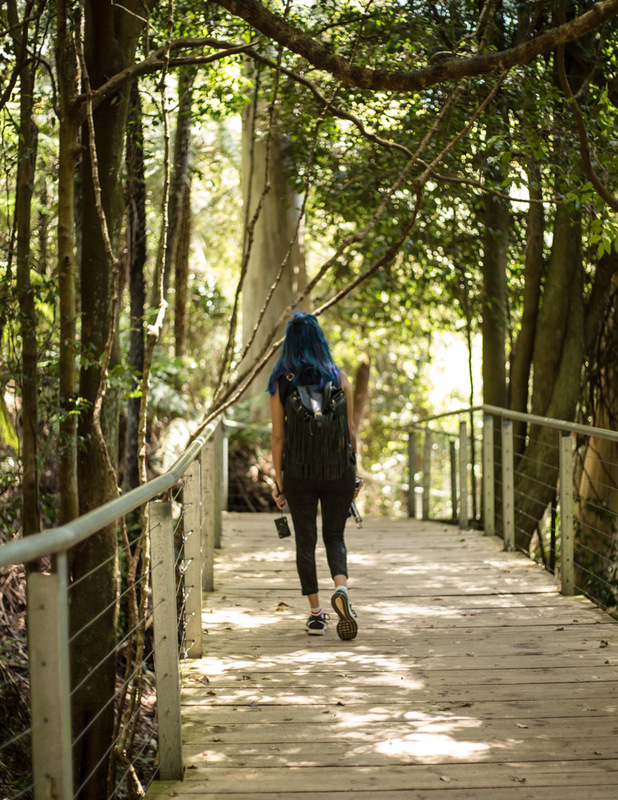 This 1.5 mile walk gives you a tranquil tour of the rainforest. 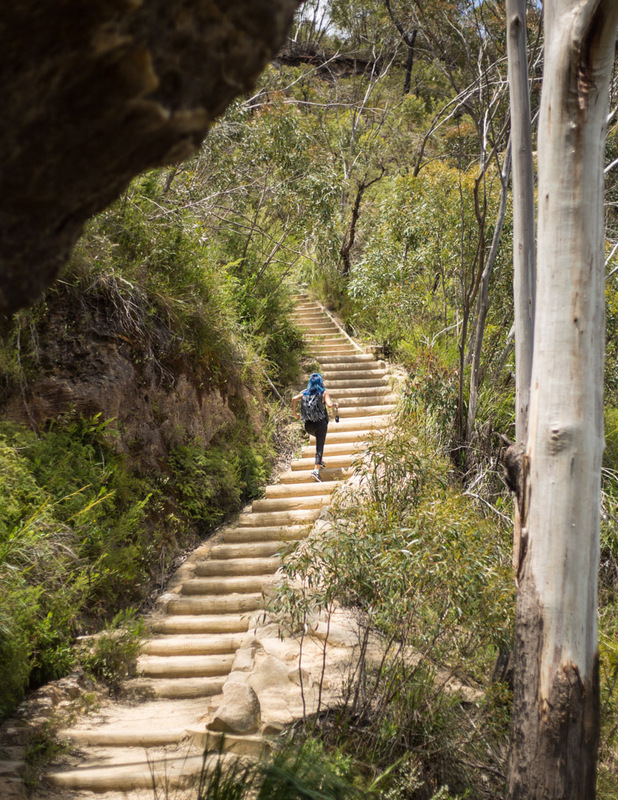 With different paths available, you can make your trip as long or as short as you please. A lot of the pathway has boardwalk, and all along are stops to rest your feet. There are also educational stops that tell of the sites coal mining history, and of the different flora and fauna. The temperature was perfect for a brisk walk! We went at the beginning of December, so Australia’s summer season just started. My only complaint was the amount of flies; they were relentless! 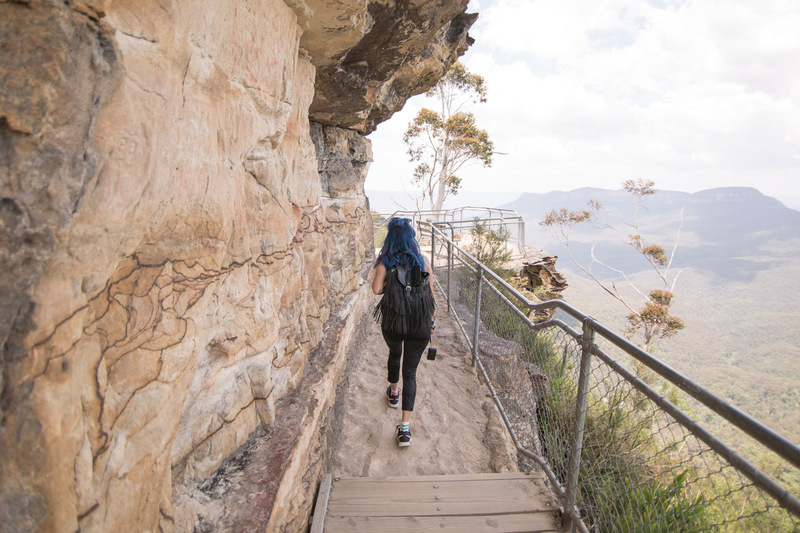 At the end of our walk, we ended up at the Scenic Cableway, in which we were offered panoramic views of the World Heritage listed Blue Mountains. 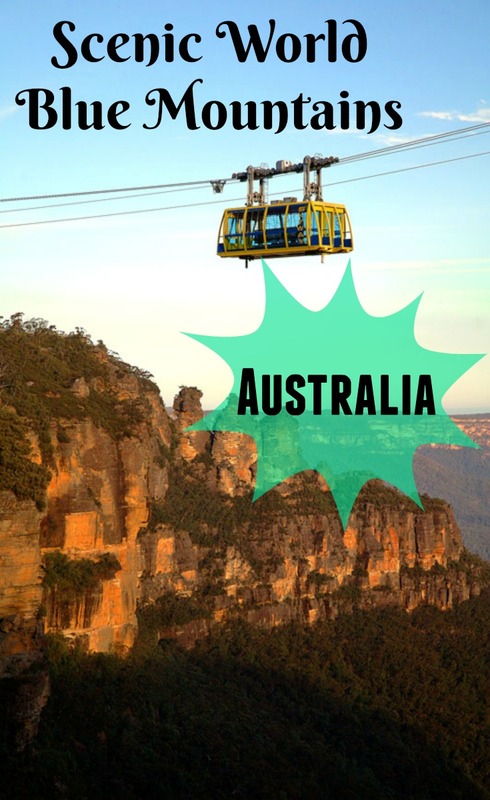 Fun fact: The Cableway is the steepest and largest aerial cable car the southern hemisphere! 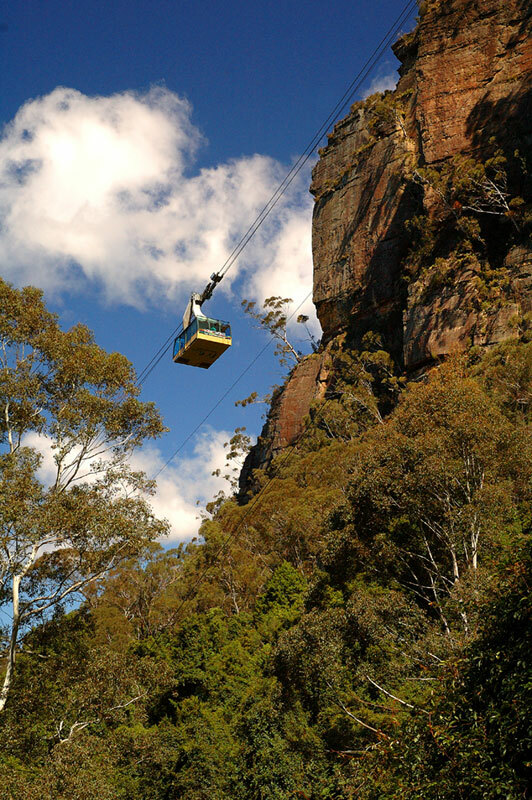 Once we got off the Scenic Cableway, we arrived at the gift shop. Right above is the dining area also, so it’s a great place to take a breather and rest your feet. Afterwards we went straight from the gift shop to the Scenic Skyway. This activity was definitely one of my favorites! 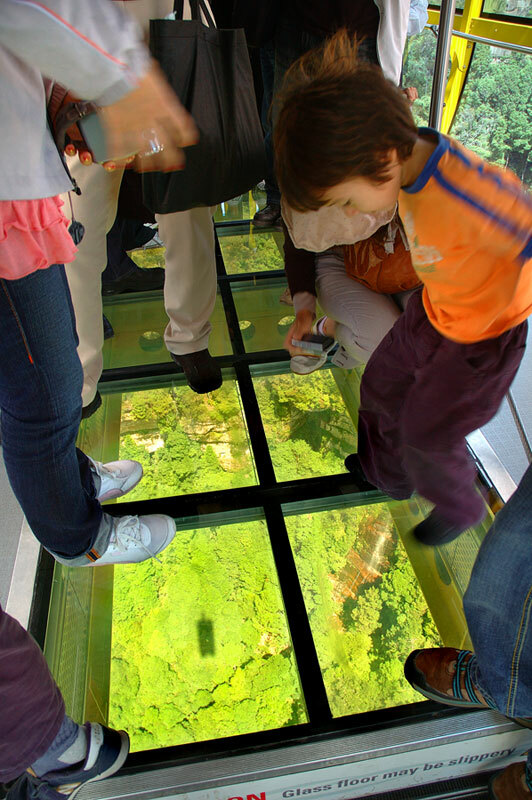 It’s another cable car between two clifftops, and there is an option to stand on a glass floor if you dare! It was pretty amazing (and a little scary!) to be staring down at the canopy forest 885 feet above the ground. 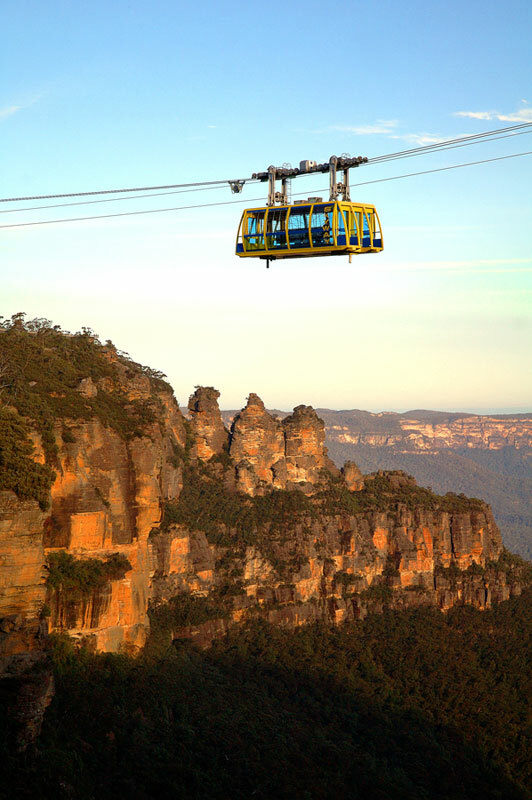 We loved the quick 5 minute ride, and it offered amazing views of the valley! 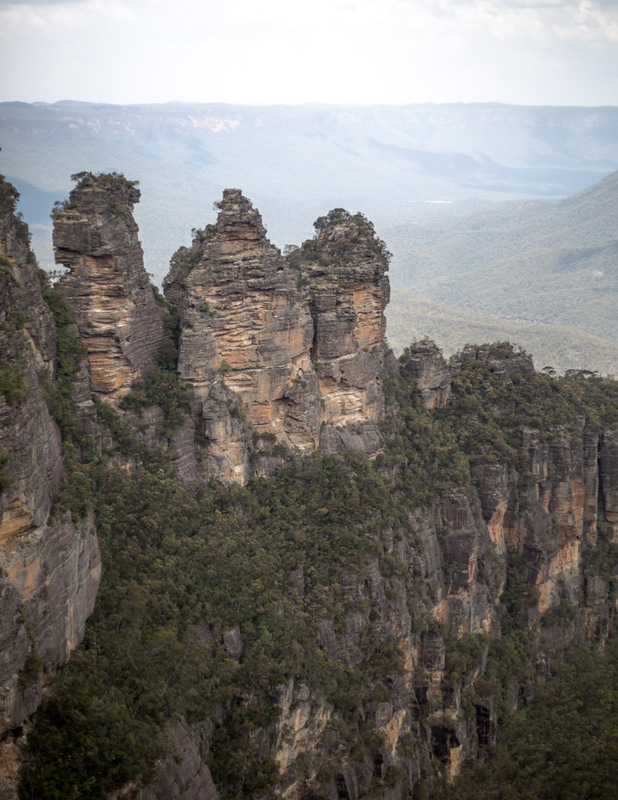 Once we got off the Scenic Skyway, we took a short 30 minute walk along the clifftops to the viewing point of the Three Sisters. The views were incredible! 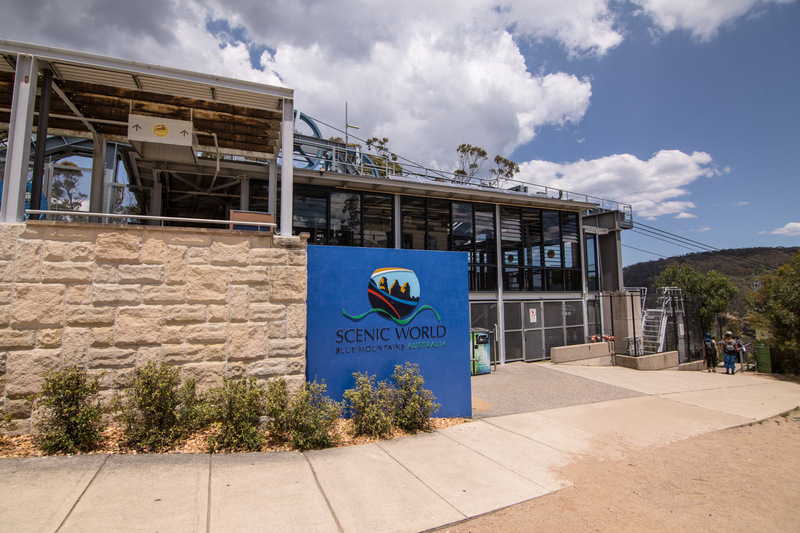 To learn more about Scenic World, click here! 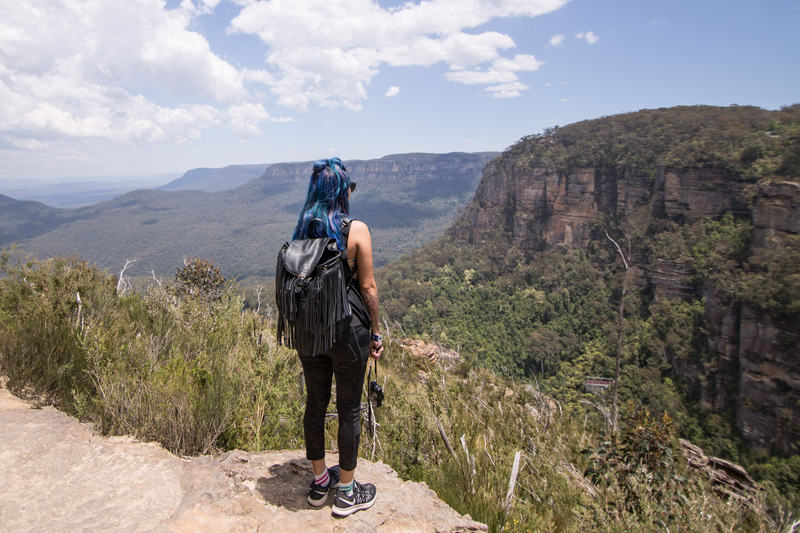 Thank you to Scenic World for complimentary admission. As always, all opinions are our own.